One #10 bridge pin drill bit. One #6 bridge pin drill bit. One #7 bridge pin drill bit. One #8 bridge pin drill bit. One drill bit. 4.9mm for flex 1 shank tubes. One drill bit. 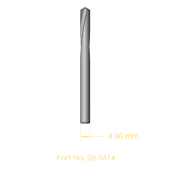 4.15 mm for flex 2 shank tubes. One drill bit. 3.6 mm for flex 3 shank tubes. 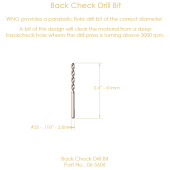 Perimeter bolt drill bit, Long length. 13/32"
Set of Vertical action installation tools. 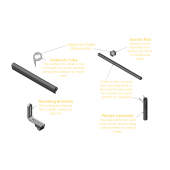 Set of six backcheck tools. The most notable refinement we’ve made to this familiar tool is in its smoothness. 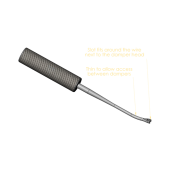 Typically this tool has unpolished steel rods that slide inside holes in the bare aluminum itself. That just means too much friction can develop and possible binding, even when lubricated. So you have to work that much harder, placing unnecessary stress and strain on your hand and forearm especially when repinning complete sets of parts. We’ve polished the steel rods and added bronze bushings for them to slide in. 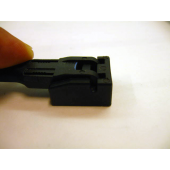 Because of the smoother non-binding operation we are able to use a lighter gauge spring for further stress reduction. 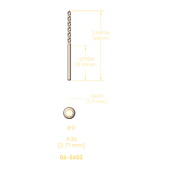 Has a replaceable screw-in pushpin. Finish is black anodized aluminum to keep the metal from staining your hands during extended use. WNG logo is laser etched. 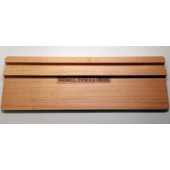 Understanding that most piano rebuilders have little-to-no experience installing damper actions, Wessell, Nickel & Gross has developed a comprehensive set of tools and procedures to help them install a WNG Damper Action into any piano. 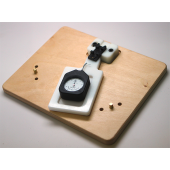 The Damper Installation Kit includes a Damper Action Measuring Tool, a Damper Flange Rail Punch, an Under Lever Center Height Gauge, and a Damper Pickup Half Stroke Gauge. 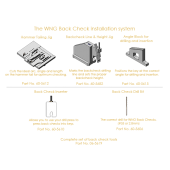 The kit is meant to be used with WNG’s Damper Action Installation Procedure, which is divided into seven parts and can be found below. 1. 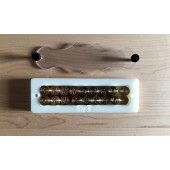 Tells you if a WNG damper action will fit inside your piano. 2. 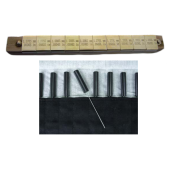 Helps you pick the correct spoon length for your piano. 3. 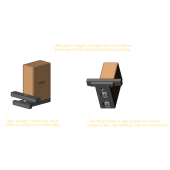 Gives you the correct mounting block thickness for mounting to the belly rail. 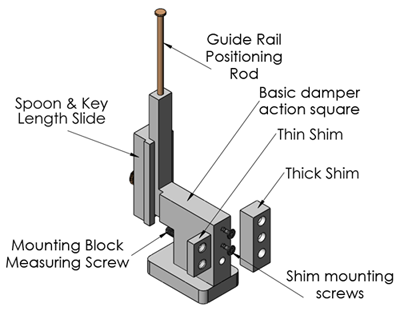 The WNG Damper Flange Rail Punch is perfect for marking a flange rail for drilling. This tool allows the technician to effortlessly arrive at the proper underlever center height for the damper action. 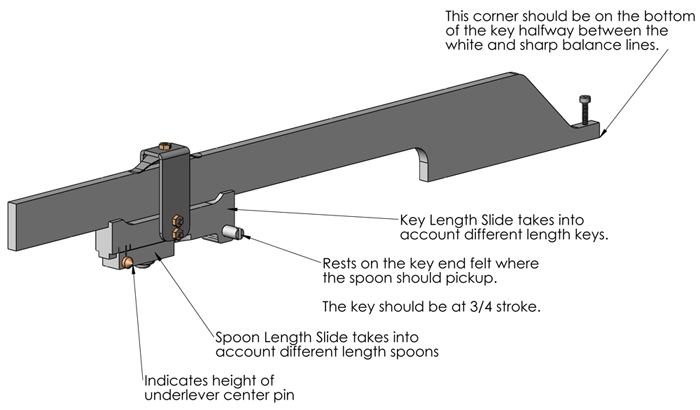 The Half Stroke Gauge makes it easy to create a half stroke relationship between the height of the underlever center pin and the spoon pickup to the key. 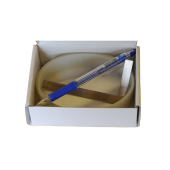 Kit contains: Aluminium Tapping Fluid, 3.3mm Drill, and M4.7mm Thread Tap. One #9 bridge pin drill bit. 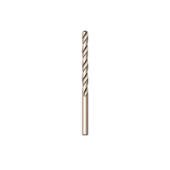 One 4mm (0.1575") capstan drill bit. WNG recommends using its CA (CyanoAcrylate) glue for gluing hammers to its high performance carbon tube shanks and has worked hard to develop a glue that handles like traditional wooden glue that technicians are already familiar with—the methods and techniques required for attaching a hammer to a carbon tube shank using WNG CA Hammer Glue require little change for the experienced technician. WNG CA Hammer Glue is a gel and therefore highly viscous—it does not run when applied and fills gaps well. 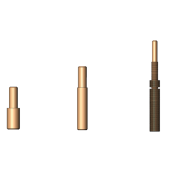 These properties make it ideal for conventional hammer boring and fitting techniques. 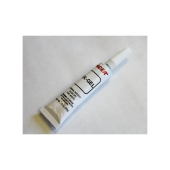 The open time (when the glue is out of the tube and waiting to be used) and setup time (the time required for the glue to set after it has been applied) are similar to traditional glues and WNG CA Glue does not require accelerator. Additionally, WNG CA Glue is highly resistant to moisture, unlike traditional glues often used to hang hammers, making looser hammer heads much less likely. 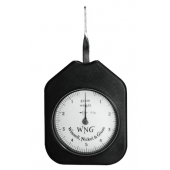 Use with gram gauge for accurate determination of gram tension in WNG flanges. Includes 10g gram guage. Use for accurate determination of resistance in shank and repetition flange centers and all pinned articulating parts to ensure they operate within defined tolerances. 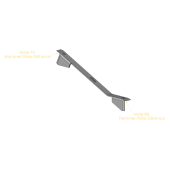 Use for accurate determination of spring force set in balancier. 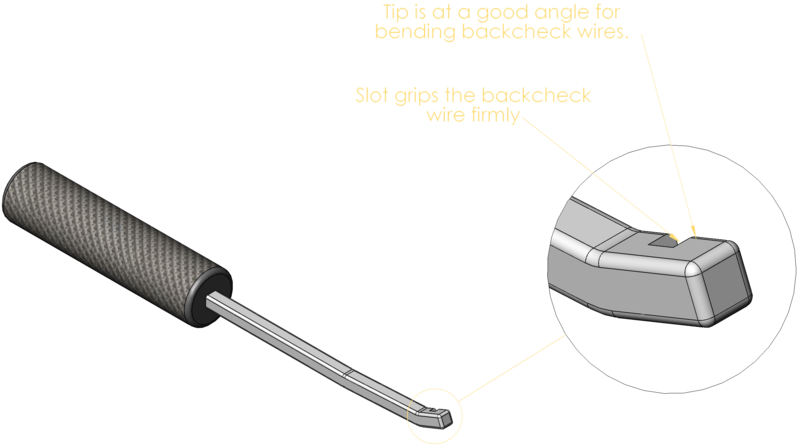 Unlike most drop screwdrivers, WNG's are intentionally made to be very short. 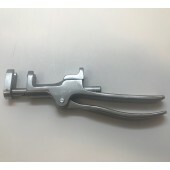 This allows the technician to easily steady his hand on the shank flanges while regulating. 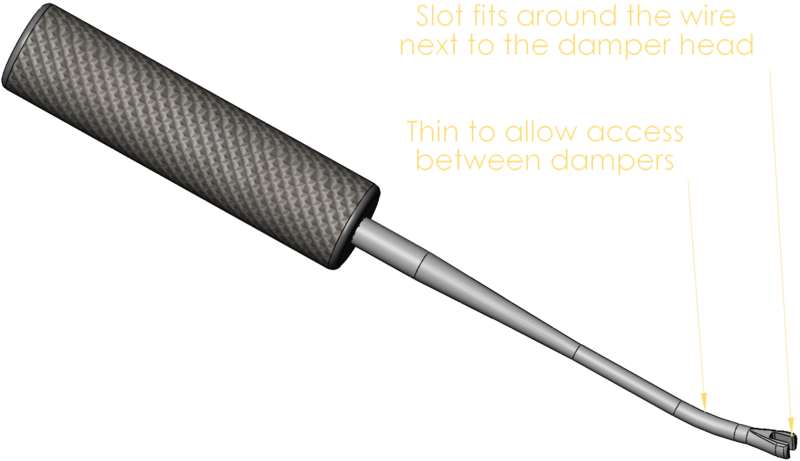 WNG also offers two different versions of its Drop Screwdriver--one with a barrel and one without. The barrel helps to locate the tool on the drop screw, however, some technicians prefer not to have this barrel. The handle and tool tip are the same on WNG's Jack and Balancier Regulating Tools--the only difference between the two are their lengths. 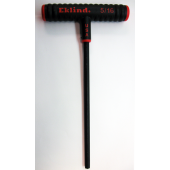 The Jack Regulating Tool is the ideal length to reach in to the regulating screw on the jack. 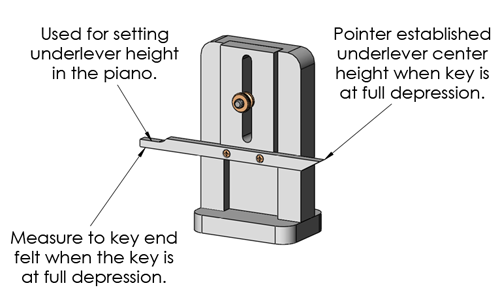 Typically, piano technicians remove the damper to make the topbend--a process that is highly inefficient. When pianos are being manufactured, factory damper installer workers make this same bend while the damper is inside the piano, resulting is much less wasted time. 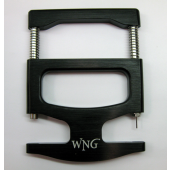 WNG's Damper Hook enables piano technicians everywhere to use the factory's efficient method of making topbend while the damper is still inside the piano. 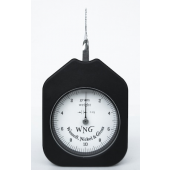 WNG provides both metric and English gauges with the most common regulating dimensions used in bench regulations. 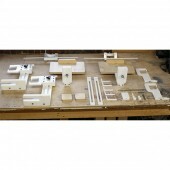 This kit contains everything that a piano technician needs to create a scale stick using WNG's instructions. 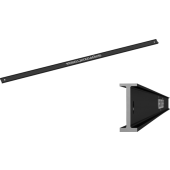 If you need help on how to create a Scale Stick, please download WNG's instructions below. 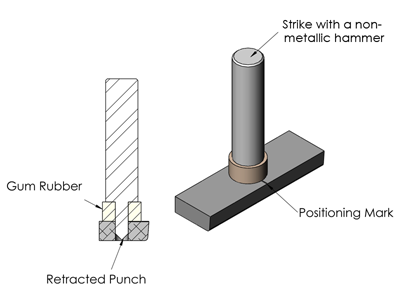 Tool for accurately measuring shank deflection (or strength) in thousandths of an inch. One center pin cache and one set of burnishers. Wessell, Nickel & Gross' Sostenuto System allows the outside technician to easily create a sostenuto for any piano in his own shop. 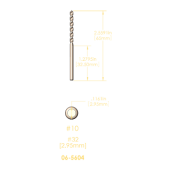 Click here to download the Sostenuto Installation Procedure. Tapping Fluid, aluminum, 4 oz. 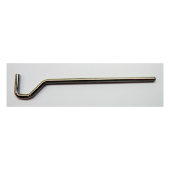 5/16" (8mm) Long "T" Handle Allen Wrench, ideal for inserting and adjusting Perimeter Bolts. 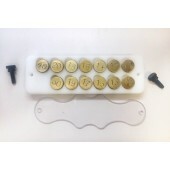 Sample kit for piano manufacturers. 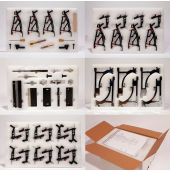 WNG offers a Sample Parts Kit to aid technicians in determining which parts will work best on a specific piano. 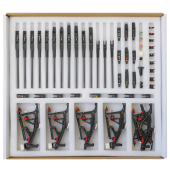 The kit consists of several pre-assembled shanks and repetition assemblies that will fit most common piano brands and which can be installed on a trial basis. 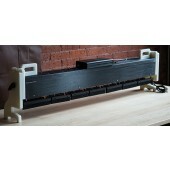 It also contains a variety of flanges, shanks, and knuckles so that a custom action can be built to match most pianos. 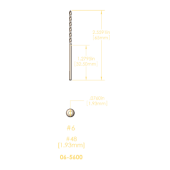 With nine different repetition heel heights that can be placed in fourteen different positions, a technician has the ability to experiment with different combinations to improve the geometry of the piano action.